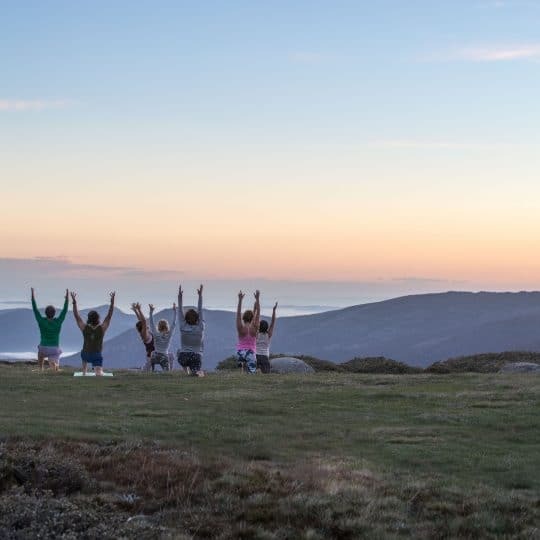 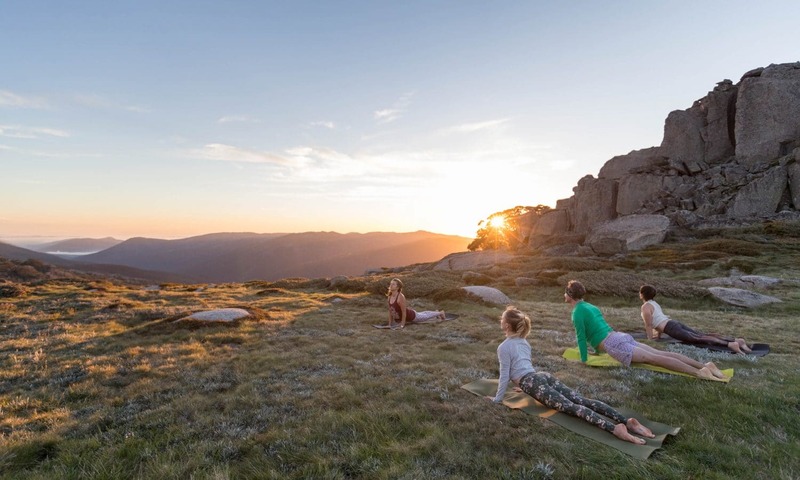 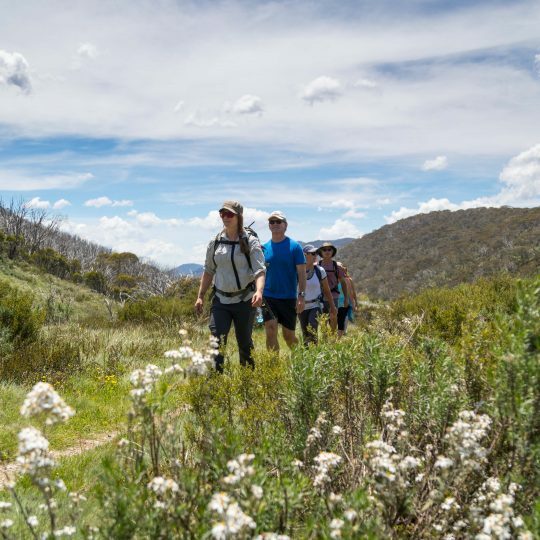 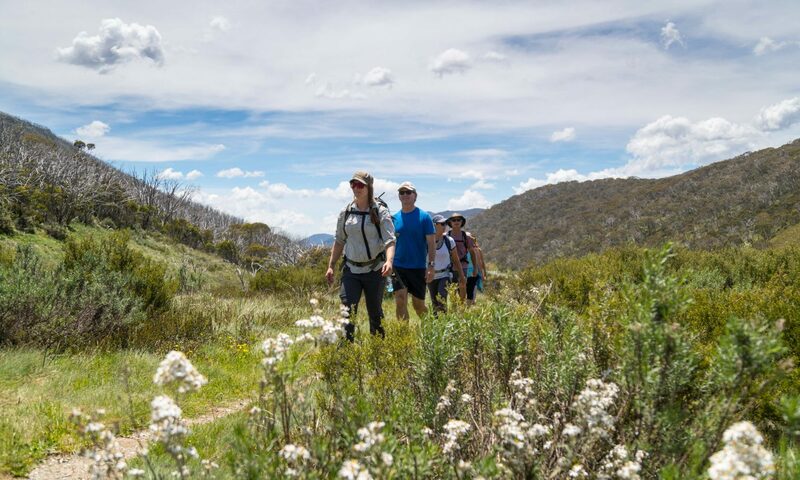 Staying in the heart of Thredbo’s charming village, your weekend away includes mountain top sunrise yoga amongst the giant boulders, guided hikes to the rooftop of Australia, meditation in the snowgums, healthy meals and snacks and a quiet session on the banks of the sparkling Thredbo River. 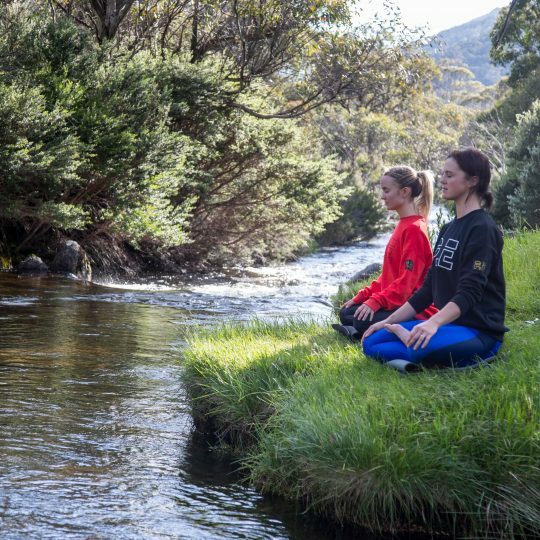 Host for the weekend, Jane Corben, is the founder and principal yoga teacher at Jindabyne Yoga Shala. 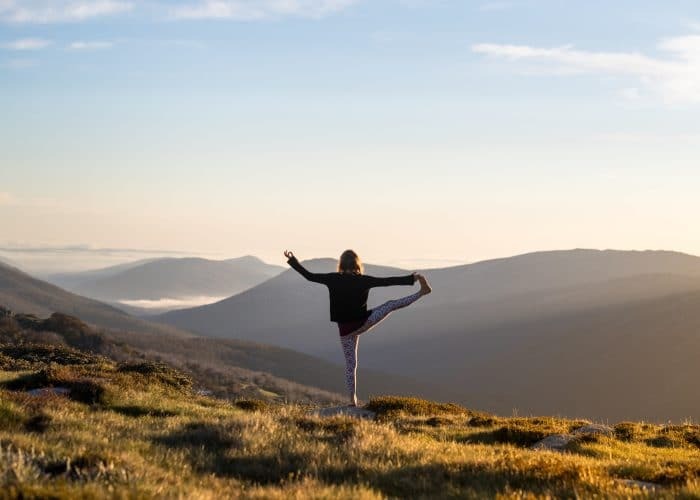 Jane is renowned for her continuous depth of study and quest to deepen, enabling her to confidently present the complexities of yoga’s ancient wisdom in a practical, knowledgeable and embodied way. 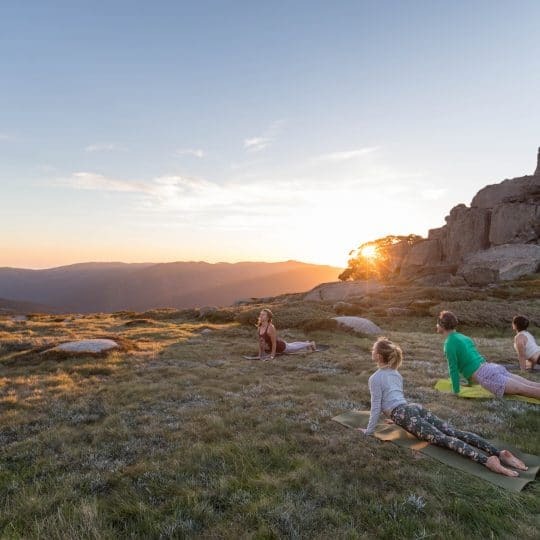 With an open heart and mind and no expectations, this weekend wellness escape to the mountains is sure to nourish the soul. 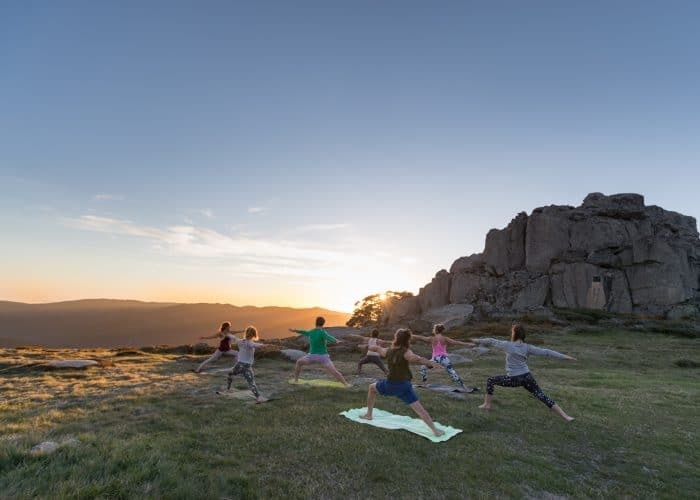 Host for the retreats, Jane Corben, is the founder and principal yoga teacher at the Jindabyne Yoga Shala and will be the retreats guiding light across the 3 days. 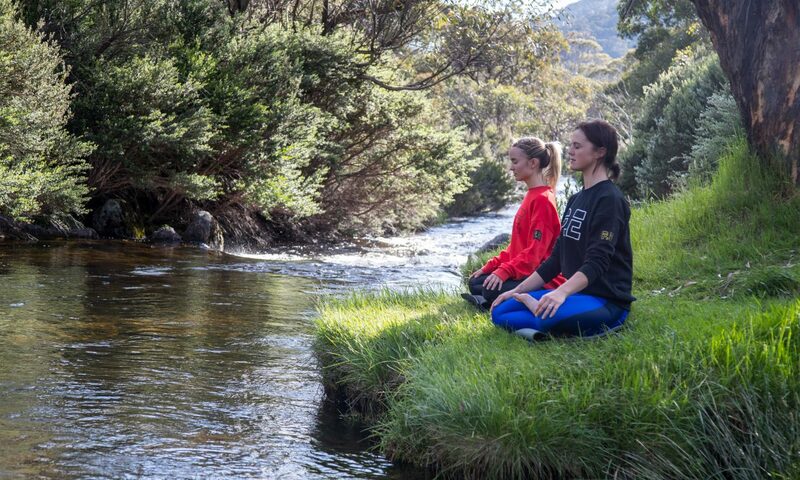 Jane is highly renowned in the yoga world, with 40 years of yoga practice under her belt. 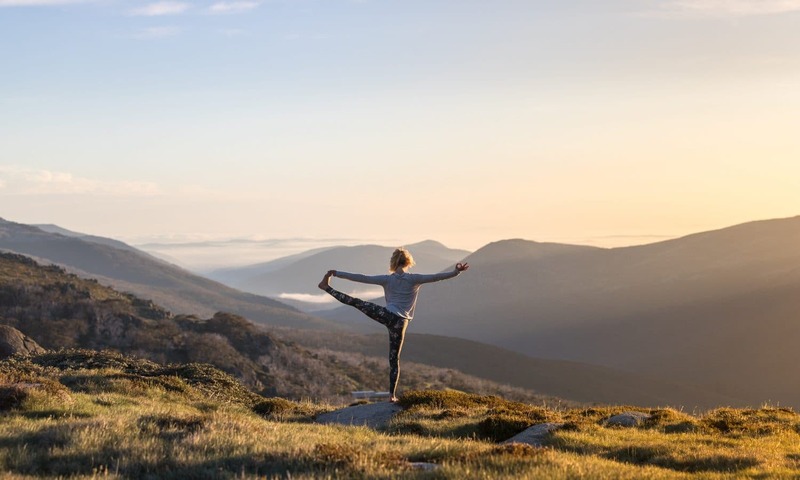 Jane first discovered Yoga in an Ashram in India at the age of 18 and since then, the practice of Yoga has been her guide through life, syncing her physical, mental, emotional and energetic alignment. 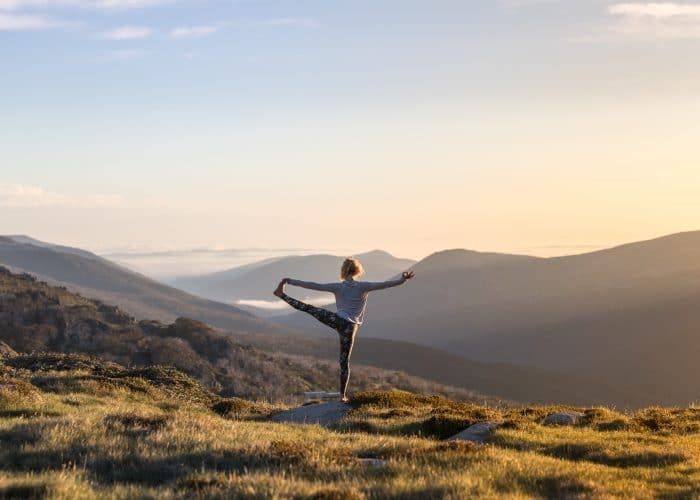 “We will explore Shakti, Shakti is the pulsation of life that makes everything thrive and the mountains are the perfect environment for this. 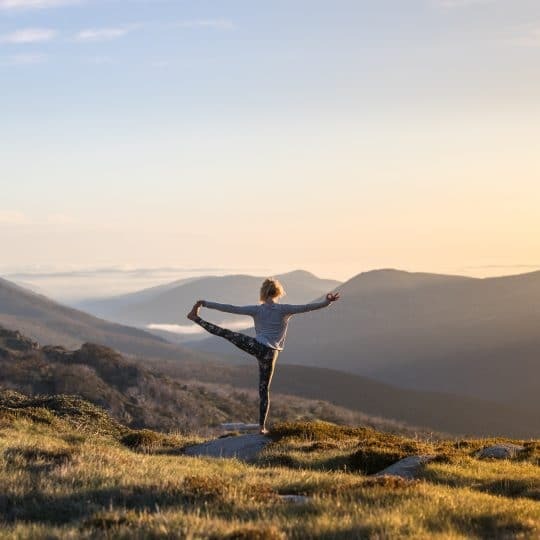 We will hike mountains and then find the balance of stillness, we will nudge our edges, then nourish ourselves, all in a stunning immersion with nature” she said. 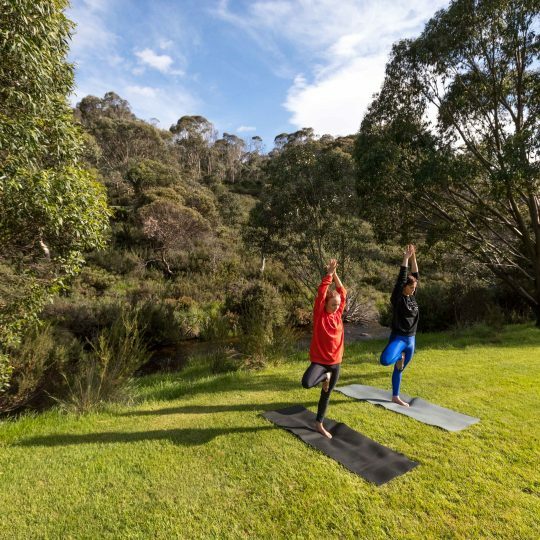 There is so much to enjoy during the Yoga and Wellness Mountain Retreat with an amazing schedule across the entire weekend, filled with lots of activities designed to refresh, recharge and reconnect you with the great outdoors. 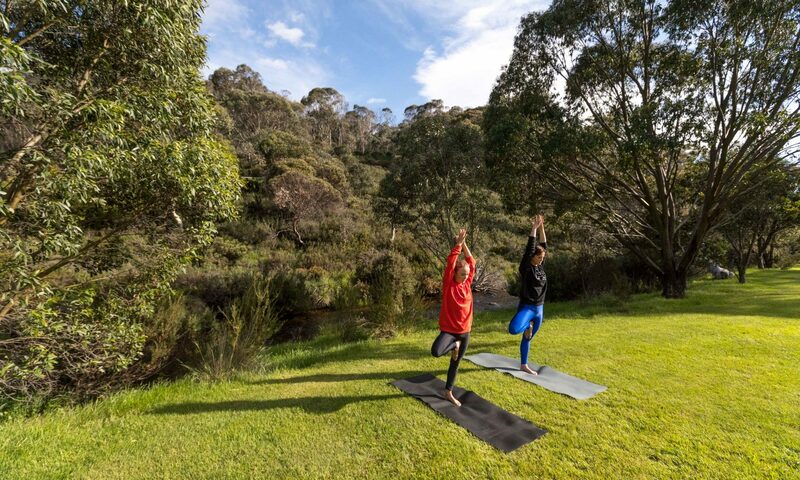 Our executive chef has curated a balanced fresh meal plan that will keep you feeling energised all weekend. 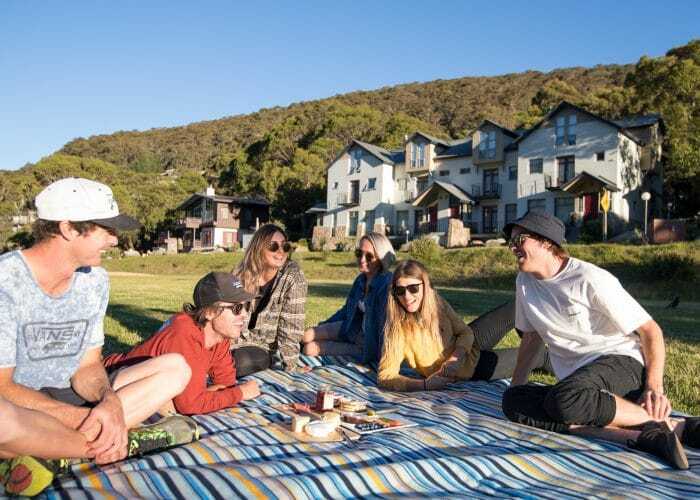 Each day starts with a healthy morning breakfast, then enjoy chia seed pudding and a picnic pack for your daily adventures. 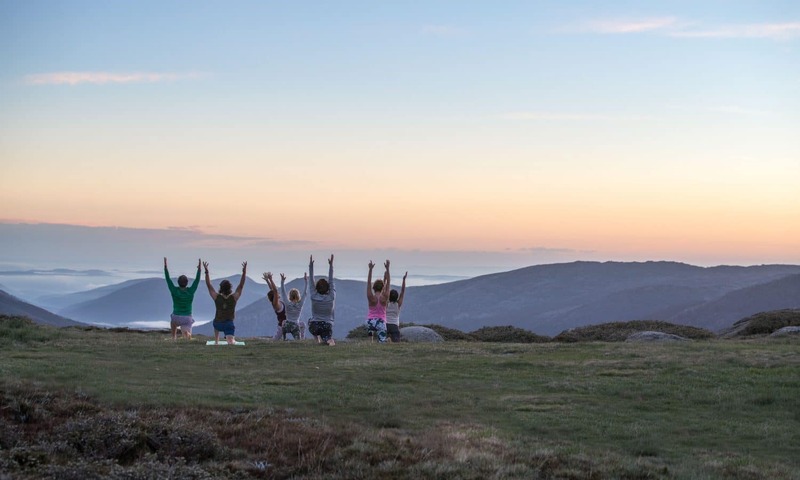 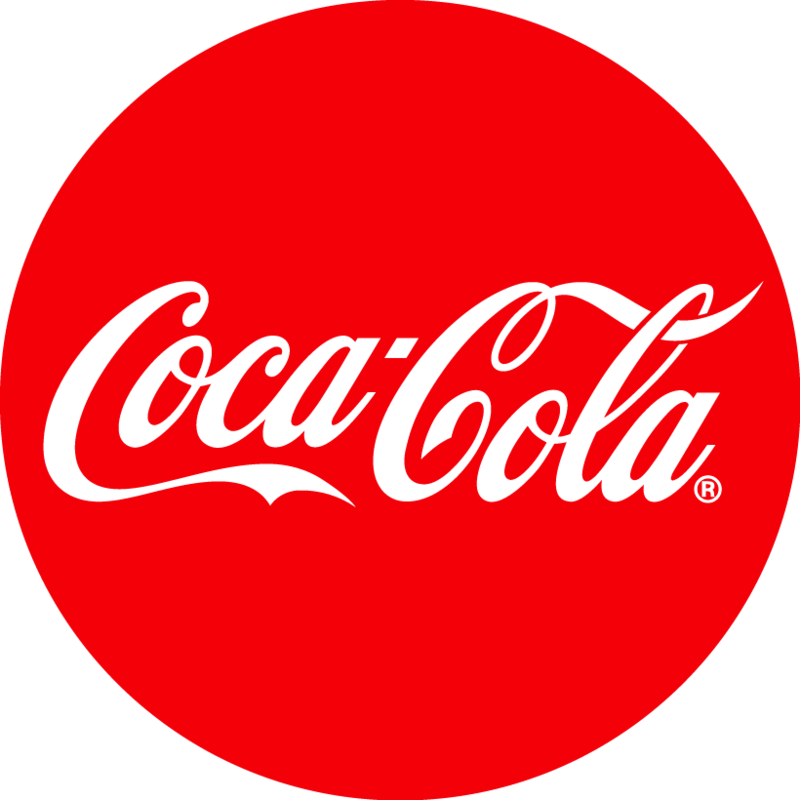 The two dinners in the Cascades restaurant will include a two-course meal with entrees of Sicilian Arancini, Toscana Bruschetta and a Raw option, then for mains choose from Tea Smoked Salmon Nicoise, Vegetarian Cannelloni to name a few. 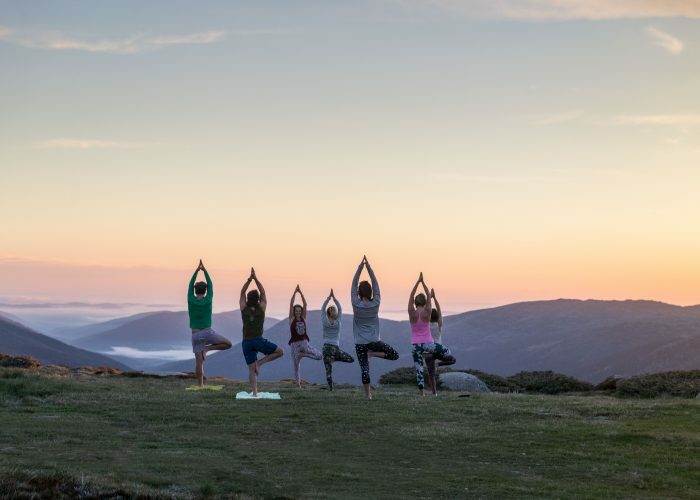 Dessert options range from Coconut Panna Cotta, Rhubarb Crumble to a specially created Yoga Retreat Eton Mess.